Responsive and dependable home paramount came to my home sprayed for bees within 24 hours after i called. Had relatives coming in and needed the deck and yard clear so the grandkids could play outside. Cost was acceptable! I WAS VERY PLEASED WITH THE INSPECTOR. HE WAS VERY THOUROUH IN HIS WORK AND REALLy EXPLAINED HIS WORK. I THINK THE ANT PROBLEM WILL LEAVE SOON. YOU HE WAS HERE ON /4/9.19 MR ERIC LEE 4.5. Will definitely use them again 🤩!!!! George did a excellent job..very through. George stood in for Raphael. I’m so thankful for that. George did a complete and thorough job. I’m hoping the mouse, ant, and jumping spider issues are over. We have excellent service with Home Paramount. They come out at their regular scheduled appointment and the technician is excellent. Also the termite people who come out are also excellent. I highly recommend Home Paramount to anyone. We have been using Home Paramount for about 6 months now and have been very happy with their customer service and support. Thank you, Laurie-Lee Mueller. Mouse trap caught another one in a previous set trap, so reset another two on3-7-19 and hope for success. The customer service is excellent to the customer service reps who answer the phone and all of your questions to the technicians who comes in your home to complete the service. They are professional and courteous. I am happy to be a Home Paramount customer and will recommend them to whoever is looking to keep their home free of unwanted guess. Pest control services have become more important with the deluge of rain during. On the recommendation of a neighbor, I tried Paramount . I am totally satisfied. Timely, professional, effective and courteous service. I've used Home Paramount for at least 6 years and would not consider another provider. Prices are reasonable and the technicians are friendly and knowledgeable. I am very happy with your service. The technician, Jamal is wonderful. He makes sure he takes care of all my concerns, and is very respectful of my home. He is very pleasant, he even put on paper booties! Yes, I am very happy, and the most important things is, he has taken care of my pest problem! Thank you. Very pleasant employees,they take very good care of our home and surroundings. Very professional and effective service was carried out and no signs of spider ant or other insects. They came through very quickly to handle the problem with insects inside my home. Very pleased with the service from Home Paramount. They always notify us in plenty of time before coming to do the quarterly service and the technician who performs the service is extremely courteous and does his job efficiently. 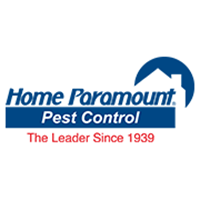 Have used Home Paramont for pest control for at least 10 years. Service, protection and annual followup has been nothing less than outstanding. Very quick response and professional work. Home Paramount service representatives are knowledgeable and keep the customer's needs in mind while working. They are always careful to relock my gate, so my dog does not get out. I am very satisfied with the service at my home. My only problem has been the scheduling in recent months. I have had the 3rd Wednesday every month from 10:00 to 12:00 but some how that has been changed alot. I appreciate the help when I need to change dates but don't understand why it's changed other times. However it rained and likely cancelled the effect. Maurice came out to perform our first bug inspection and spray. He did an awesome job and we look forward to working with him in the future. Michael came out and did our termite inspection and was able to give us peace of mind with our new home purchase. Wonderful service and our technician is always very thorough and makes sure he goes all around the house and checks on everything each time. Home Paramount came to my house the next day after I reported aproblem. The work was completed promptly by two workers who were skilled and friendly. I also have a contract for termite protection which gives me a sense of security. I highly recommend this company. My experience with Home Paramount has been a favorable one thus far. The staff at the home office is incredible and very accommodating. My assigned technician has been very professional and has been doing a great job. I couldn't be more pleased! Technician was very professional, and courteous. He explained what was covered in the contract. He then proceeded to start the initial treatment of the house. Very pleased. Technician was friendly and knew exactly what he needed to do for treatment. I am happy with Home Paramount’s excellent service for more than 10 years, with quarterly pest control, termite eradication and inspection, and encapsulation of the crawl space under my house including maintaining the dehumidifier in that area. Always on time with professional service. Great company! We have had excellent service with Home Paramount. All of your technicians are very helpful and courteous. Thank you for helping us with all our bugs, snakes, ants and creepy crawlers! I am very satisfy with your service. Thank you for your relia ble service. I’ve only had the initial treatment and the bugs immediately outside the home are not gone, but better.